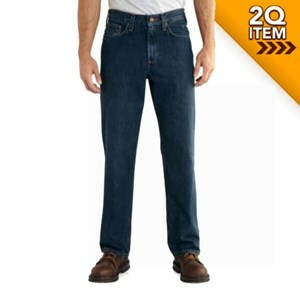 Carhartt's original Dungaree fit guarantees a comfortable fit while washed denim ensures it stays that way! 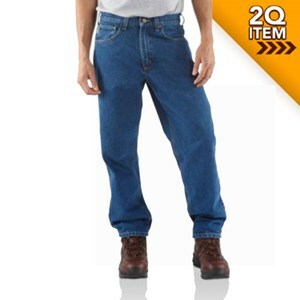 Price: $39.99 $29.99 CALL Be the first to review! Women's Carhartt work pant with double-front knees. Price: $54.99 $39.99 CALL Be the first to review! 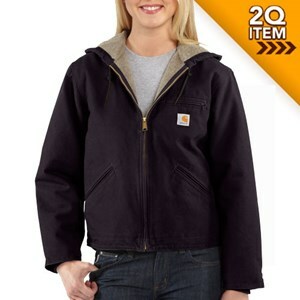 Durable and comfortable built from Carhartt. 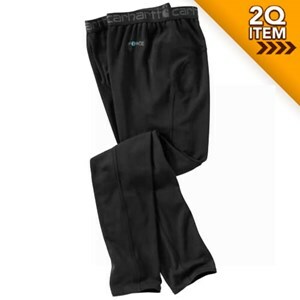 Price: $34.99 $15.99 CALL Be the first to review! 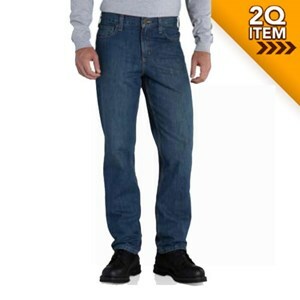 These jeans are built Carhartt tough for the toughest jobs. 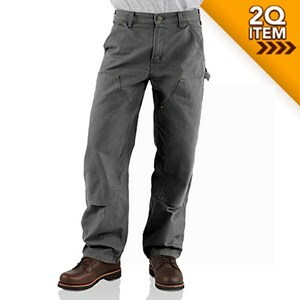 Get the slim fit you want, even in your work wear! 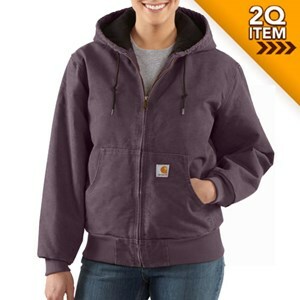 Get warmth and moisture wicking ability in this Carhartt base layer! 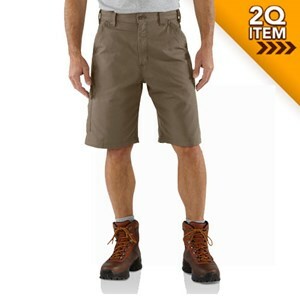 Price: $34.99 $12.99 CALL Be the first to review! Price: $39.99 $14.99 CALL Be the first to review! 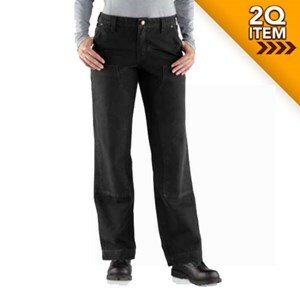 This dungaree is built with features like utility pockets and is able to accommodate knee pads, making it the perfect choice for the toughest of jobs. Price: $49.99 $19.99 CALL Be the first to review! 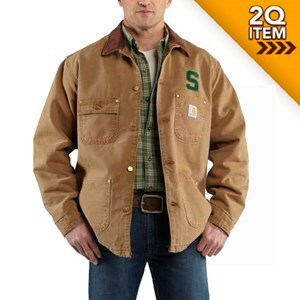 This classic Carhartt work short comes with all of the features you need to get the job done efficiently! 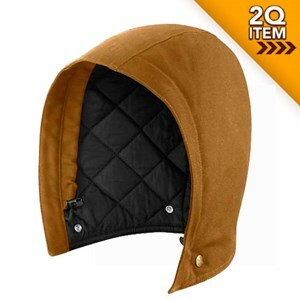 Price: $29.99 $12.99 CALL Be the first to review! 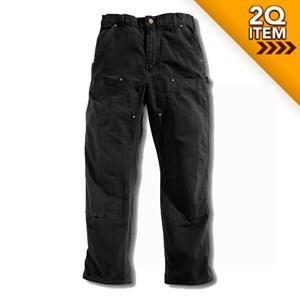 Carhartt's Original Dungaree Fit ensures comfort and sits at the natural waist! 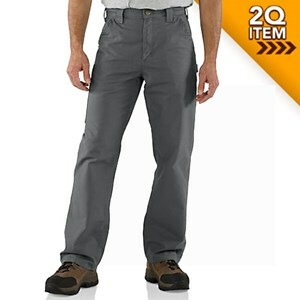 Cut for long-lasting durability to keep up with you and the tough jobs ahead. 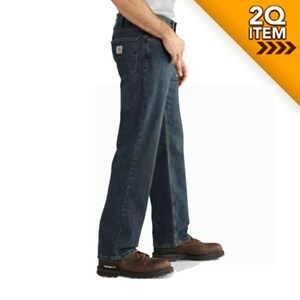 Carhartt's traditional-fit jean is just what you are looking for! 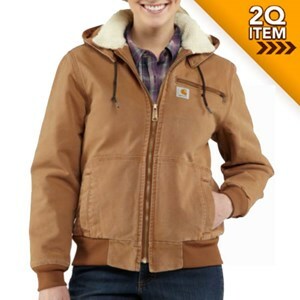 Get cozy in this Carhartt Bekley Jacket for women! 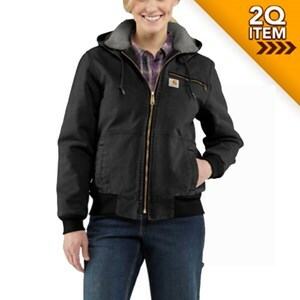 Beat the cold in this durable, lined jacket from Carhartt. Price: $99.99 $74.99 CALL Be the first to review! 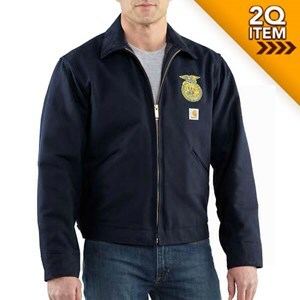 A Future Farmers of America logo right on your Carhartt jacket. Price: $74.99 $54.99 CALL Be the first to review! 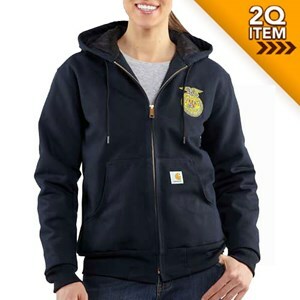 Stay warm in this FFA logo'd ladies Carhartt jacket! Price: $84.99 $59.99 CALL Be the first to review! Enjoy a heavy duck feel with element repellent performance! Price: $79.99 $59.99 CALL Be the first to review! A quality Carhartt jacket made for a woman! Price: $99.99 $39.99 CALL Be the first to review! 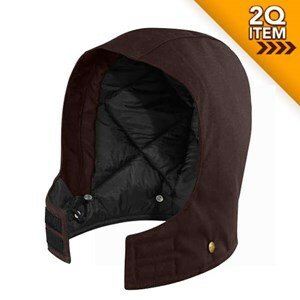 Get added protection with this Carhartt hood! 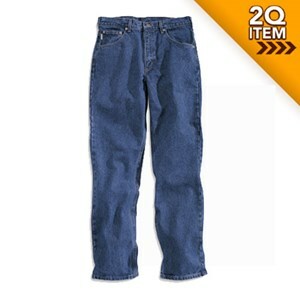 Price: $21.99 $9.99 CALL Be the first to review! 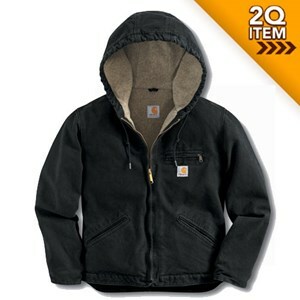 Tough as nails and warm optional hood from Carhartt. Price: $19.99 $9.99 CALL Be the first to review! 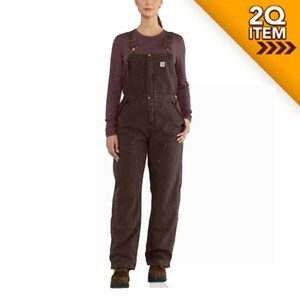 Durable and quilt-lined Carhartt bibs for the ladies. 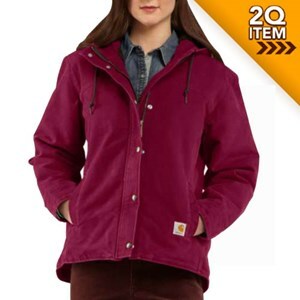 This excellent Women's Carhartt Jac has quilted-flannel lining for added warmth! 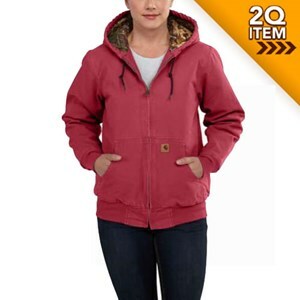 This Carhartt Jacket is made with princess back seams that conform to female shapes. 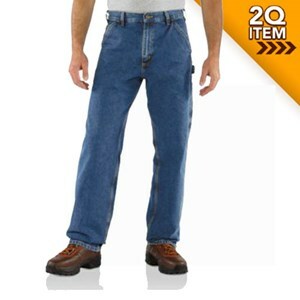 Price: $119.99 $39.99 CALL Be the first to review! 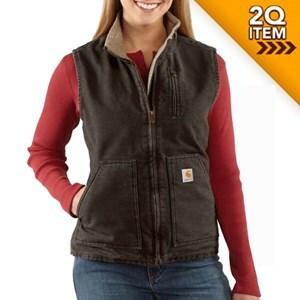 Comfortable and durable for every day wear to keep your core warm in this Carhartt vest! Price: $69.99 $24.99 CALL Be the first to review! Price: $7.99 $5.00 CALL Be the first to review! 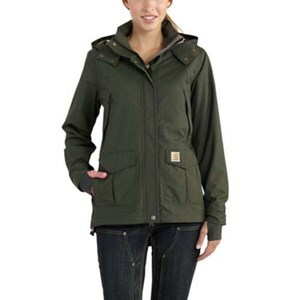 Don't get stuck in the rain without this jacket! Price: $109.99 $85.99 CALL Be the first to review!